At Camera Security Now, we care about saving our customers time and money. We don't want you taking time out of your day to wait around for a surveillance specialist to do a visit your location. 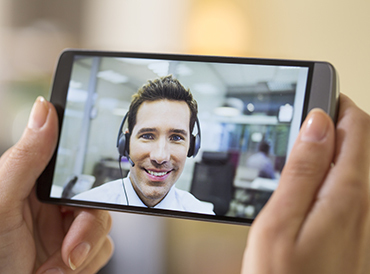 Instead all you need is a mobile webcam (most smartphones, laptops, or tablets have them built-in) capable of doing a live video chat with one of our specialists. We will be able to understand your location and your camera needs without having to come on-site; No traveling is required and the specialist can get started on quoting your project much faster. Its a win-win situation!